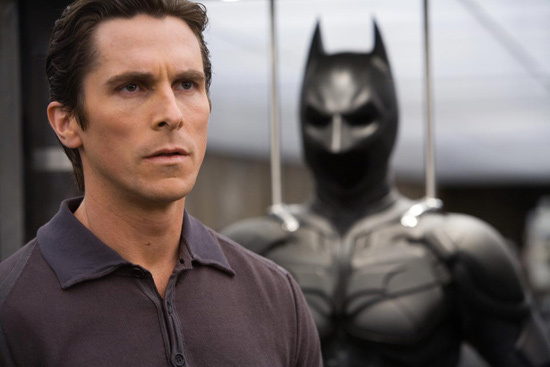 Major Potential Spoiler For CHRISTOPHER NOLAN'S "THE DARK KNIGHT RISES"
Aside from Anne Hathaway injuring stuntmen and splitting costumes its been a relatively quiet news-front on Christopher Nolan's The Dark Knight Rises. Well today we are hearing a report of a potentially major plot point for The Dark Knight Rises. If its true it will completely change the whole framework of the final chapter in the trilogy. Hit the jump for the details. "Bruce Wayne/Batman & Bane will certainly clash hard in The Dark Knight Rises and I can tell you this much, during their first fight against one-another, Bane WILL break Batman's back!" So that would sound like the involvement of a Knightfall  by Doug Moench storyarc, where Bane does indeed break Batman's back which combined with the rumored Arkham Asylum breakout is not such a long shot. Take it with a grain of salt but the site confirms that "this information comes from a completely reliable source." I'm reading: Major Potential Spoiler For CHRISTOPHER NOLAN'S "THE DARK KNIGHT RISES"Tweet this!